CLEARFIELD – A convicted murderer sentenced to life in prison without parole is now asking for a new trial. 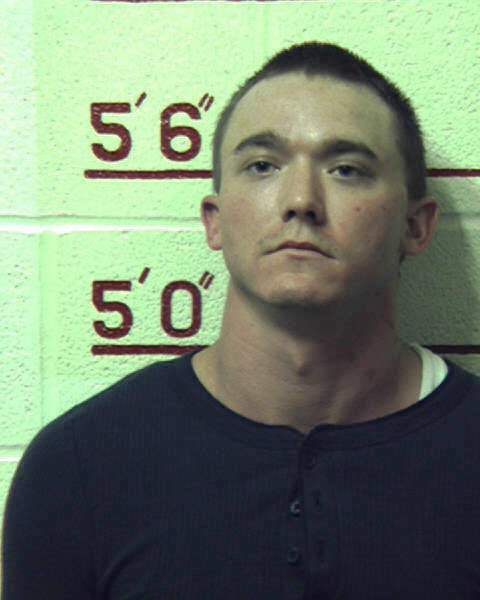 Dustin Thomas, 28, of Hawk Run was accused of the murder of Brett Bamat of Philipsburg in October of 2017 and was convicted after a trial in August. During a hearing Thursday morning, Steven Johnston, attorney for Thomas, detailed the issues in a post-sentence motion originally filed by Stephanie Cooper, who represented Thomas during the trial. They are seeking a new trial because of three issues that arose during the prosecution of the case. The first of these is prosecutorial misconduct. According to Johnston, District Attorney William A. Shaw Jr. “poisoned the mind of the jurors when he was examining witnesses. His use of the phrase “there you go” when the witnesses gave the answers he was looking for gave the impression that the witnesses had been coached. Assistant District Attorney Jendi Schwab responded to this by pointing out that the witness continually refused to answer the questions asked by the prosecution. Johnston also objected to Shaw’s questioning of Thomas during the trial. Another issue in the case is a denial of a continuance of the trial by the defense because Guzzardi was not going to be able to testify in person due to him being out of the country. It was at this continuance hearing that Shaw commented that they didn’t know if Guzzardi was coming back and stated that he could even be a fictitious person. Judge Paul E. Cherry, who presided over the original trial and over the hearing, stated that the motion for a continuance was made just a week before the trial and it was the “attorney who dropped the ball” on this when she did not subpoena Guzzardi. Cherry went on to explain that every effort was made to accommodate the expert testimony including an attempt to set up a skype session with him. Eventually Guzzardi testified via a telephone and as Schwab pointed out, the jury was given instructions to give his testimony the same weight as the other witness’ testimony. Shaw’s comments about whether Guzzardi was a real person or not did not enter into his decision to deny the continuance, Cherry said, adding that he did not even remember Shaw saying that. Johnston mentioned he may withdraw the part of the motion regarding the denial of the continuance request. The last issue is that the definition of voluntary manslaughter was not given in the jury’s instructions and they were not able to consider it as an option for their verdict. At that time, the commonwealth stated that was because Thomas’ defense raised the issue of voluntary intoxication, which is not compatible with voluntary manslaughter, Johnston said. “They (the jury) still had the right to consider it,” he said. Schwab responded that the third issue is more of a case law matter and more suited to being covered in briefs. Cherry gave Johnston until Jan. 24 to provide briefs on all these issues after which Schwab has until Feb. 7 to respond. Cherry expects to make a decision by Feb. 23.